It's confirmed! We will be touring the UK with The Magpie Salute this coming December! We're over the moon to have been hand picked by Rich Robinson and invited to do these shows! 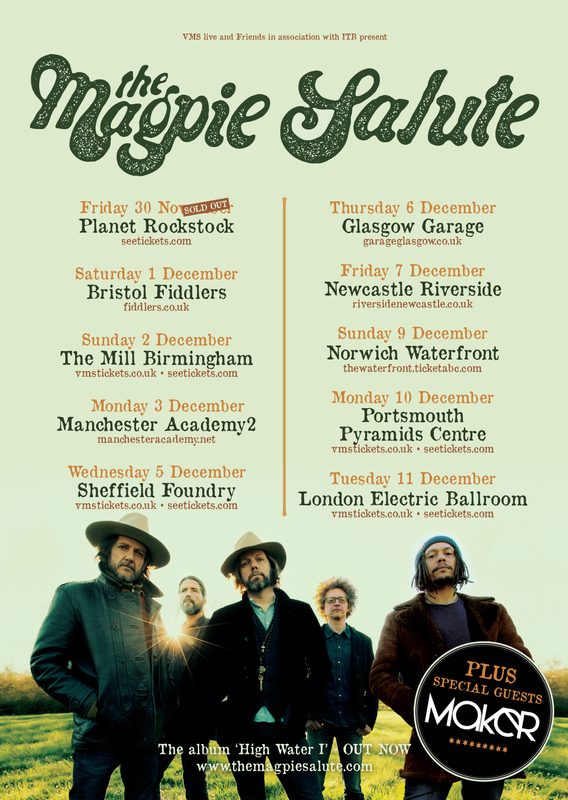 Check out the poster for all the dates of the tour - & head over to The Magpie Salute page (or http://themagpiesalute.com/events) for all the ticket info.